Stop the car - We've been invited to the WHITE HOUSE! By Caz | November 27, 2018 | This post may contain affiliate links, which means we may receive a small commission, at no cost to you, if you make a purchase through a link. Read our Disclosure. I was lying on the couch in our apartment in Raleigh, North Carolina with a blanket over me. The sofa was a $50 job from the Salvation Army, so tattered and worn that we had a cheap cover from Walmart thrown over the top. The cover didn’t fit it properly so would scrunch up and roll off and I was forever standing up to straighten it. Anything to cover up just how much we were struggling. The lights were dim, the shadows casting a long veil of sorrow and desperation. I think perhaps it was only a few days earlier that I opened up the kitchen cupboard and a hoard of baby cockroaches no bigger than my baby toe nail scrambled. I cried aching tears. It was the sign of how bad we’d let things get. I had no strength or faith left to fix it so resigned myself to evenings scrunched on the couch with episodes of Criminal Minds to numb the pain. Criminal Minds could not be found on any channel as something far more important had taken over. I eagerly awaited the results all evening, and now as it neared midnight it was announced, Obama was elected President. For the first time in a couple of years I felt a slight breeze of victory and my tears flowed to the end of his acceptance speech. My release ran far deeper than a political party victory, which I’m really not that into or know much about. It was about change. It was about passionately believing in something. It was about breaking the odds to achieve your dreams. I’m not sure that I was consciously aware of the spark that was lit that night, I remember the details leading up to. I remember the tears. I remember how I felt. I remember the opening of the door to hope and perhaps a return to joy. That was in 2008 and the change for me didn’t come for many years later, but it’s possibly where I took the first step. Obama helped me to believe in personal power again. That’s partly why, when we received the invitation last week, I spent days walking around in quiet reflection and disbelief trying to process it. How could I go from that desperate state six years ago, to now receiving an invitation to attend an important travel summit at The White House? The White HOUSE? 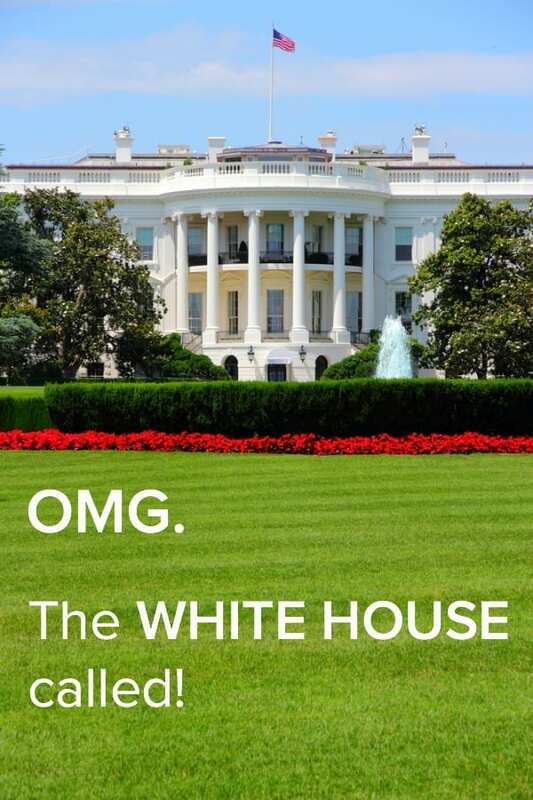 The WHITE house? The WHITE HOUSE? It didn’t matter how many times I said it with various inflections, it just didn’t seem this could really happen to me. Should I ever have the honour of meeting Obama, I might just possibly cry in front of him. Not screaming, groupie One Direction fan cries, but a few rolling tear slips. Even though it’s a huge interruption to our current Australian road trip. Even though it means we have to leave the girls for two weeks. Even though it’s a massive expense for us to fly over to the States – I know we can’t say no. The invitation came at a time when I was doubting everything I was doing and resenting the travel blog. It became too hard and too serious and I was losing control. We were in Karijini National Park, away from the computer and the internet, and I decided I was going to quit. I was going to contact Rupert Murdoch and see if he wanted to buy our travel blog for zillion’s of dollars and then I’d just hike through beautiful gorges for the rest of my life instead. As soon as we arrived back in internet land, the email notifications started pinging faster than a winning Las Vegas slot machine. So we thought the email was a scam, and Craig decided to respond in a cheeky manner. Two days later we’d heard from someone else and dug a little deeper and figured out it was for REAL. I felt a surging within me. Excitement, awe, humility, opportunity, blue horizons, grace and gratitude. On December 9th, 2014, the White House will host the 100 most influential travel bloggers and digital media outlets to discuss the Administration’s focus on the benefits of cross-cultural educational and cultural exchange and boosting international student mobility. Consistently at the forefront of trends in the industry, travel bloggers and digital media outlets continue to develop innovative ways to communicate experiences with millennials and young leaders. By familiarizing a group of peer influencers with programs and initiatives designed to increase student mobility internationally, our goal is to increase awareness among young people and encourage their participation in educational, cultural and professional exchanges. I felt such euphoric release. I’m so glad the US Administration is having this discussion as it’s what I’ve been preaching for so long: get people to travel more and change the world. And embracing travel as an experience through professional and cultural exchange is what we did for over ten years. Promoting the working holiday experience is our absolute passion. OMG and we’re influential enough in this space to be invited to the White House to talk with leaders about this? Whoa. Earth moving moment. The reason I started this travel blog in the first place, it was never about me. It was about helping others to travel because I believe in the power of travel to positively transform lives. I know it can break down barriers, remove fear and hatred, and empower people to live their joy. Travel blogging seemed like a more powerful and easier thing to do then march down streets holding peace signs and shouting profanities. The place where all change starts. Don’t quit. You’re doing this because you have the position and the opportunity to help people change their lives. I want you to do this. Use this gift of service. 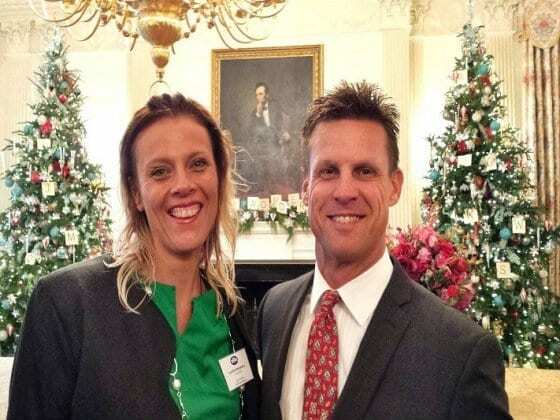 I was invited to the White House because what I do has an invaluable purpose. I can’t quit on it, I just need to take a new direction. I realised this was a first step. I’m not sure where to exactly, but I know there’s power behind it. I cancelled the appointment with Murdoch. And the doors that had been closed to my ability to write and create came bursting opened. I remembered why I’m doing this. I remembered how far I’ve come. I remembered I promised that I’d use the pain of my past for good. I promised I would no longer make it all about me. I promised I’d do what I could to help others feeling the same despair to know all is not helpless and that you can change your life from cockroach infested crap to visits to the White House. I texted my Mum. “Oh My” She wrote back. When I spoke to her later she said her and Dad thought we were talking about some white house in Perth and just being silly to trick them. “Oh wow.” Mum and Dad still don’t get what we do on this travel blog, but I think they’re starting to understand it’s something of purpose. What does someone wear to a meeting at the White House. I’m not sure, but I’m being called to wear red. We don’t own anything nice. We’ve been living out of the same clothes traveling around Oz for a year. And wearing flippers and snorkel masks for the past week. And we haven’t had hair cuts in months. We’re going from the beaches of a Perth summer to the freezing cold of Washington DC. Is it snowing there now? We need styling. We need makeovers. I’m not sure if Perth can help us out with some White House worth clothes, but let us know if you’ve got any Perth shopping tips! We’ll drop off the girls in Sydney with our parents on the way. It’s not just us, there will be 100 other travel influencers present – several of whom are our online friends we can meet for the first time. And to be honest, I really don’t think it’s going to be such a huge deal, but it’s something I’m called to do. I don’t ignore my callings. I have no idea if Obama will be there, but I just hope I get the opportunity to say thank you. We’re thinking of ducking over to NYC for a few days, because how can you not? We’ll also be dropping into Raleigh for a few days – our old home and the place our heart still pines for (just not the cockroaches!). For all our American friends, no matter your political affiliation, we know what an honour it is to be invited to 1600 Pennsylvania Avenue. Politics and political leaders don’t hold the same reverence in Australia. We promise you, we feel the same honour and will arrive with the same respect and awe that you would. We thank you for always embracing us into your home. 48 hour itinerary for Washington D.C. Does travel have to stop once you have kids? Thanks so much Vanessa! We so appreciate your support for all these years! GUYS! This is INSANE! So proud of you both. And when you get that calling, you can’t ignore. You have to follow it. Thank you Chantelle! This blogging thing’s a trip as you know! Amazing! And I love it because DC is my home and Perth is my second home! So for advice and general info: it is not snowing 😛 but will probably be around 5-10 degrees Celsius. If you have time, check out the Georgetown waterfront and Adams Morgan is my favorite area to walk around and get delicious low key eats! Some favorites are Amsterdam falafel and Taylor gourmet. Also there are great coffee shops and used bookstores. The metro also makes it super easy to get around. Also, a lot of the museums are FREE. the national portrait gallery is a favorite of mine. As for Perth, hit Hay st and Murray street downtown for department stores and other shops. Finding winter stuff may be hard though! These are awesome tips! Thank you so much. The cold is going to hurt! WOO HOO! Well done Caz and Craig. 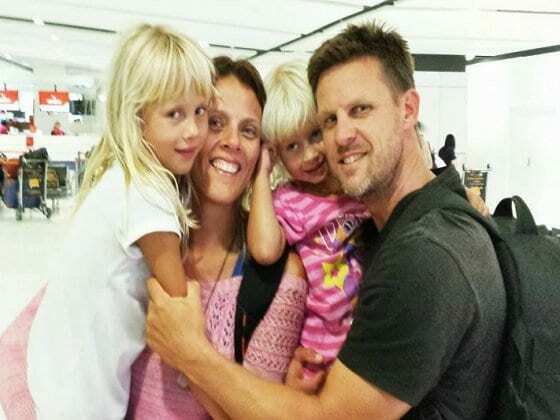 Enjoy your American sojourn – you’re right Caz that you have a calling to help people transform themselves through travel, both seeing (and changing) the world and looking inside and changing themselves. You deserve it. “OMG” doesn’t even begin to describe. This is astronomical!!! I literally got chills reading this post. I am so proud of you guys and all that you’ve accomplished, and proud of my country for recognizing the power of cross-cultural education. Love love love. Thank you Valissa! I’m stoked the White House is going to be having these discussions! Wahoooo! Good on you guys! Represent for Oz!! What a fantastic opportunity – enjoy the rush – you’ve earnt it!!! Oh My indeed! Amazing news – you guys are creating and living the dream. Well done. This is beautiful. I am so happy for you, and so happy this has lit a spark in you, because I would miss your posts if you gave this up! Hope to meet you when you come to DC. I wasn’t invited to the White House, but I’m helping to put together a Travel Massive event the night before. Happy travels! Oh fantastic. Be sure to let us know the details, it would be great to come. Whoa! Best, craziest sounding detour ever! Ha! So in awe of your acheivements, guys, so amazing. You’ve battled through, built this thing…and now the White House wants to chat with you! Congrats! And NYC – you can’t not! NYC – you can’t not! Love it! It’s pretty crazy. Just wish it wasn’t going to be so cold! Oh my gosh… One can only dream of receiving an invitatation such as that!!! Do you need someone to carry your bags? Lol..
I’m going over with empty ones to buy some cheap clothes! Congratulations! This is indeed a big honor. You will be in our back yard for this trip. Let us know how we can help you! Oh, My. Gawwwwwwd!!!!!! Congradulations!!!! That is absolutely the best thing I’ve read all day. All week possibly. The opportunity will be well worth the expense. Safe travels and good luck!! Woo hoo! What an amazing experience this is going to be for you! So pleased you are living your dream and now have the opportunity to show the ‘big guns’ how it can change the world. Enjoy, well deserved! I just have to make sure I don’t cackle and misbehave down the back Val! WOW! Congratulations to you both. & what a great moment to the tourism industry as a whole. I think the US trip will help ignite the fire again. Wow! Congratulations guys! What an amazing accomplishment! Enjoy the trip. PS. I’m a corporate rat by day, so I would suggest going with a conservative dress ( a la Michelle Obama) and medium height heels. If you don’t want to worry about your hair, throw it up into a tight bun for a clean professional look. Love it. Great tips. Thank you! You’re taking over the world with knowledge and inspiration! I’m so excited for you! This is a great opportunity for you and am so proud of the way you’ve helped to change how the world sees travel. You guys rock! Red is a good choice for you Caz. NYC? I hope we can get a chance to meet! No pressure though, I know how busy you both are. So happy to hear this news, well-deserved, indeed! We will certainly be meeting up when we come over Brenda. Although we were chatting tonight and might skip NYC after all. I’ll let you know either way. Wow, just wow! That is awesome indeed. I think I read that Nomadic matt got an invitation as well and now you guys. Thanks Christina! It’s a pretty exciting detour. Such a shame we couldn’t be on the same seaboard. That is seriously amazing! What an experience and honour! Great effort, and well deserved. Enjoy. Congratulations! What a remarkable invitation. Enjoy every minute of it. Looking forward to reading about the experience. Thank you Honey! Not sure about our times etc, but if it works out that we do, I’ll definitely let you know. OMG. Wow. Congratulations to you! What a honour and opportunity. We are very exited and wish you an amazing trip. Looking forward to read more about your trip to the White House. wow what a curve ball to your lifestyle! Super exciting! Was just telling my husband about your blog & ‘adventurous’ way of living and we were wondering how you can do this without having work/income? In South Africa one would never do this – give up work & travel especially with kids, but maybe we need to! Keep traveling I love ‘watching’ your journey. Yep. It’s not easy. We work as we travel which makes it possible, otherwise there’s no way we could do it either, especially not in Australia. You are true inspirations! Thank you for being examples that hard work and passion trumps all! Yay!! Congrats from Cali! Amazing guys! So so happy for you. It is such a cool honour! I am in toronto and DC weather is similar. ..tomorrow the snow starts. ..it will be freezing!!! That is amazing! Congratulations! I’m sure you will have the best trip and I’m sure it’ll be worth interrupting your roadtrip in Australia! Congratulations agaian! Oh my. As someone about to embark on a new travel blog for some of the very same reasons as you, this is such inspiring news to hear! I’m so excited for you after all your work congratulations! Go Aussie go! Congrats on receiving such an honour. What a thrill to receive an invitation to the White House and so well-deserved for all the inspiration you both provide to others. Enjoy! wowowowow! thats amazing! hmmmm simple smart red dress with black blazer and black shoes maybe? I’ve loved hearing from travel bloggers all over the world about this exciting event at the White House! Thrilled to hear you guys will be there, can’t wait to follow along! So happy for you to be recognized and acknowledged for the great job you do. Now, just pray to the good Karma gods that you don’t freeze your Australian buns. Actually, Washington isn’t all that bad usually. We just started getting snow here in Cleveland today, but Washington’s worst weather isn’t until January and February. Have a great trip! Hi Caz! Invited by the White House! What an honor and you definitely deserve it! With your travel blog you insprire people to enjoy their life and to not worry too much about career and a luxury lifetsyle. Don’t even think about giving up all this!! I’m happy that they chosed you to be part of this project! I wish you both a fantastic time and interesting conversations. Safe travels! Thank you so much Liane! I really appreciate it. I think it’s given me new energy to help others even more. I understand wanting to quit though. I don’t have a travel blog, nor have kids, its just my fiance and I. But sometimes travelling long term is HARD. I have so many friends back home who think I’ve been on a permanent holiday for the last 4 years. Yea…because I spend everyday on the beach and every night in restaurants…Ummmm NO. The accommodation/camping/parking fiascos, dealing with finances on the road, losing things, driving lost! Trying to find things in a hurry or late at night in a new town and just plain getting on each other’s nerves sometimes! It can all seem like such hard work. And we don’t even have kids or a travel blog, you guys must be awesomely efficient and talented! Brilliant news you’re not landing on quitting just yet. This White House thing us definitely a “sign” not to quit, right now. Travelling is so not as easy as it looks. It can be very challenging and exhausting – especially with the kids! We’ll be planning a meet up in Perth- hopefully you can come! AMAZING – so happy for you both, Cannot wait to read about it. Wow wow congratulations!!!! I found you for the first time just now via Nikki PH of Styling You blog. I’m looking forward to reading more of your blog. I’m sorry I wasn’t aware. It’s also great to hear you say that your parents still don’t get what the blogging is about (especially at your advanced level) it’s amazing that our parents just don’t quite understand. Please let us your readers (old and very new) what it was like. All the best and congratulations! Wow, that’s incredible! A real show of everything you guys have accomplished. A massive congratulations to you both! Truly deserve to be there guys..Someone as passionate as you, talented reaching far and wide. Your blog is so inspirational. Dont stress re what to wear. Your from Australia. We are very casual here remember. Just be yourself thats enough. Anyone who looks good wearing a snorkel wouldnt have a worry in the world…Enjoy the together time. I left my children to travel when they were the same age as yours and they dont even remember now.. The White House will be nice, possibly even decorated for Christmas. 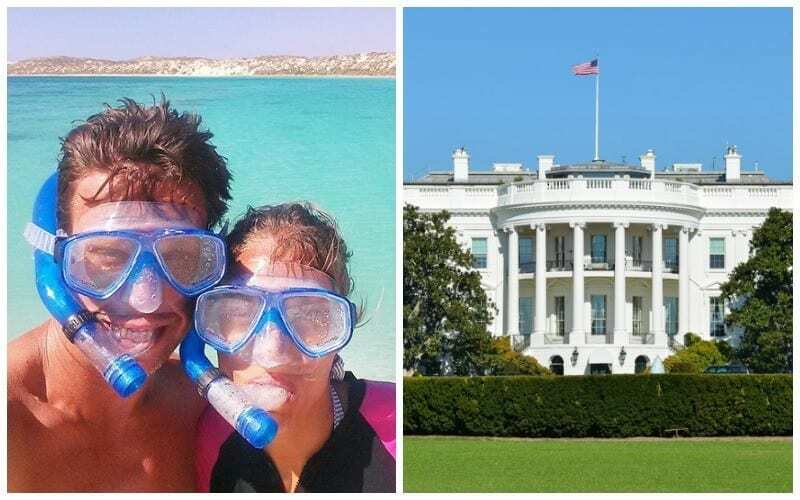 You really can’t do DC without visiting the White House, monuments, museums, a romantic guided tour on one of the boats (maybe the Dandy, they have a website.)??? DC looks very different from the water. If you catch a day to evening boat ride, then you can see the best of the bridges and the night views from the water. There are dinner cruises, etc. It gets dark here about 6p. DC was build with the notion that people would arrive here from the sea vs. standard travel now, via air or road. Almost all the bridges are unique. Buildings like Union Station and National Treasury are structures to see. Also see the reflecting pool on the National Mall, Jefferson Memorial, Washington Monument, get tour of White House (by appt. only), Washington Monenment and Treasury. China Town is near the Verizon Center, it looks neat. Tai food is not everywhere in DC. You many need China town for good Tai. Verizon Center features professional sports like hockey and basketball, it pales in comparision to the Sidney Opera House. Sometimes musical preformances and Disney On Ice, etc are held at the Verizon Center. They have a website. The spy museum (not free) is near the Verizon Center. I heard it was very intresting. It’s not impossible to spend over a month in the DC metro area, especially with kids. DC zoo is free, but spring and fall are the best times to go. Cherry Blossom Festival and parade is pretty and romantic in spring. 4th of July is awesome and crazy at the same time in DC. Fireworks over the National Harbor, but I would suggest you book a hotel in DC for that holiday, because it takes hours to get out of the city after the fireworks. Traffic in DC is very bad, especially Monday-Friday. Driving is hard in the actual city- one way streets & congestion. It’s not as hard as New York, though. I guess anywhere wrong turns can put you on the wrong side of town. Subway is pretty good for around town, maps on subway are clear, but you may not be able to hear the speaker on your train. I suggest you carefully watch the signs at each stop. Plenty of places to eat, fast food to fine dining. Our fast food favorite right now is Chipotle. Our fine dining favorite is Ruth’s Chris Steakhouse. Our everyday not fast food favorite is Texas Roadhouse. Georgetown is a good area. If you have seen horror films, Georgetown has a set of famous stairs. Multiple clubs for night life in Georgetown and Adam’s Morgan. Stay vigilant everywhere you go, no matter what time of day or night, travel at least in a pair. DC is a very big city. You will be very close to Northern Virginia (VA), Maryland (MD), West Virginia (WVA), Penns. (PA), Delaware (DE), all within 1-3 hour drive (no traffic, depending on what you are looking to do). Renting a car should be easy, I think. We were able to rent a car in Sydney, easy. Check with your car insurance, before you go. MD, VA, WV have historical plantantions and a lot of american Civil War history. There are also some wineries in VA and MD, not sure of the schedules for these. In Dec., MD often will have areas that have Christmas light shows, not sure about VA. These light shows sometimes allow you to drive your car through them and look at the lights. Sometimes they even have music with them. Sandy Point, MD, Ocean City, MD, Adventure Park in Frederick MD, and I think Seneca Creek State Park in Germantown, MD has one with lights(not sure about music). There is usually a fee for them. In the spring thru fall, Annapolis, MD has a waterfront with an historic flair. It’s a sailboat capital. Army vs. Navy games are played there. Walking around there is nice. Great fudge factory. Alexandria, VA also has a waterfront. Cirque Du Soleil do preformances there. If you have never seen a Cirque show, I strongly suggest you go there one night. They are on line. It’s a really nice date night. Dinner on Alexandria waterfront followed by Cirque preformance. It comes close to an Opera House event. Front Royal, VA in the fall (Oct.) has beautiful leaves (can be very romantic) and they are known for their apples and apple products, apple cider, apple donuts and sparkling Apple cider. Skyline Drive is one of Front Royal’s national treasures, beautiful natural county views. I would avoid the mountain in the winter. Civil war events happen Harpers Ferry, WVA, Front Royal, VA, and Frederick, MD, not in the winter though. Baltimore, MD has a waterfront, museums, zoo, aquarium, (great for kids), science center, casino and Hipprodrome theater. Baltimore also huge city, vigliance is needed there too. I envision Baltimore water as being what Sydney Harbor’s water looked like before the major clean up. Sydney’s water was sparking when we were there in 2005. I wish Baltimore and DC would fix their water up like Sydney did. 1-2 hour drive, PA, has Amish county, baked goods, unique furniture and candies. Homemade everything. Leaves and mountains there too. In Dec., ski resorts have skiing and tubing ready to go. That would be alot of fun. Honeymoon destinations are popular in PA. I have lived almost my whole life in MD/DC/VA, I miss the fast pace and convenience when I travel abroad. I have been blessed to have many friends in other countries. My husband and I loved Sydney. We were there for the new year, right by the harbor bridge. I did the bridge walk about 7 months pregnant. He swam with the sharks. We felt it was a cross between Miami and California. We went to see the blow hole and spend days on the beach. I would go back in a second. We went in Dec/Jan 2005. I hope you like DC and come back another time with your kids. I will tell you so you are prepared; fries are a side option for casual dining, but in formal dining you typically don’t get fries. Baked potatos are popular with butter & sour cream, salads, or other vegs. Chips are crispy and the come in a bag from the grocery store or vending machine. You can have as much ketchup as you want and no one is going to charge you extra. Soda portions are huge. Most of the time you can get as many drink refills as you want for free when dinning in. Most places allow for call ahead seating and/or reservations. Stores and resturants are open everyday and often after dinner time. McDonalds are often open 24/7. Dunkin Donuts, I have heard has good coffee. I have never been to the white house for dinner, but I have heard the carbs there are amazing!!! Many congratulations, I have recently came across your blog and it has been very inspirational for me as i am just starting out. I hope you get to meet President Obama. Caz …always fun and interesting …your blog is helpful and you tell it the way it is..thanks a bunch. It is very cold in DC – today it will be 35 degrees F. Another comment pointed out the many things to do in DC and quite a lot are free. You will find plenty to do and see. There is a great coffee shop within a block of the White House – if you need to kill some time waiting to go in – Swings is on G St between 17th & 18th. Best cappuccino in town. I work a block from the White House and virtually everyone going in is dressed in business attire. The only exception would be those attending either the Halloween party or Easter Egg Roll. Thanks Sarah. Appreciate your support! I just came across your blog from Nikki from Styling You and I have spent the last day just reading through so many posts until (very naughtily) the wee hours of today : ) I love what you guys stand for and do and inspires me to think more and more that anything is possible, that dreams and passion are meant to be explored. So thank you. This is so exciting and inspiring! I can’t wait to read about your time in the White House! I am in awe and envious all at the same time. What an opportunity I can’t wait to read about the experience. It is insane that you got to go to The White House. Building up your life to that point in 6 years is a complete accomplishment! I wish to meet the queen someday; I’m British!